Tech at night will be brief tonight. It was my mother’s birthday last month, but I couldn’t buy her what I intended because I had several bills coming due at once. So, she got her iPad tonight. I’m taking suggestions for an iPad Sudoku game that’s as good as working on paper with a pencil. She’s adamant that nothing on the iPad will beat that, but if something’s good out there I want to show her. But moving on to issues of national instead of familial importance, Seton Motley (yes, that’s two in a row I’m linking to him) has a story at Big Government that is headlined November 30th could be the day the government seizes control of the internet. Hyperbolic? Maybe a little, but make sure you read his piece to understand just how strong a power grab Title II Reclassification of the Internet would be, if the FCC were to try it. Welcome to Tech at Night. 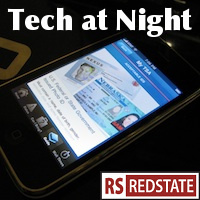 For a while now my second writing job at RedState* has been covering tech issues at night. Mostly it’s Internet issues these days, because that’s where the grabbing hands of the government have been grabbing all they can lately. But now I’m making it official, with a logo and a schedule. From now on I expect to be posting Mondays, Wednesdays, and Fridays late, but don’t hold it against me if occasionally I leak past midnight**, okay? 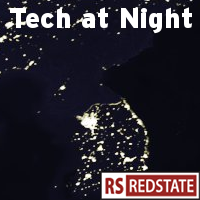 The basic goal of Tech at Night is to expose all the ways that the radical left wants to use government to bring us into the same kind of tech darkness that North Korea (pictured in the logo) suffers in a literal sense. And now, on to business: Tonight we check back in with Sunlight Foundation and Free Press. Thanks to a new law that comes into effect today, every single citizen of Finland now has a legal right to a wired broadband connection with a minimum speed of 1Mbps. Welcome to the fourth and final part of the series (See I, II, and III to get up to speed with what’s going on here). Brief summary: Andrew McLaughlin is Deputy White House CTO, and has been reprimanded by the White House for inappropriate relations with his former employer, Google. Due to a Google Buzz security hole, wide-eyed observers at Big Government noticed that McLaughlin was still very cozy with Google through his Gmail account. This led to a FOIA request for those emails, and now I’m reading them from an InsideGoogle.com release. On to Part III of that release.